As the blond bombshell Boris Johnson is voted in as the Mayor of London, Paul Snowdon finds solace as the Bard of Barking returns to Liverpool. “WHEN the world falls apart, some things stay in place“, so goes one of the lines of the great Bard of Barking’s finest-ever compositions, Levi Stubbs’ Tears. 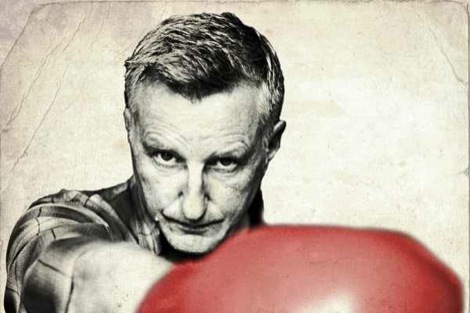 And a day after Labour took a hammering in the local elections and just hours before Tory Boris Johnson was officially declared the new Mayor of London, Billy Bragg admitted to his enthusiastic Liverpool following at a jam-packed Philharmonic Hall he was delighted to be among friends. 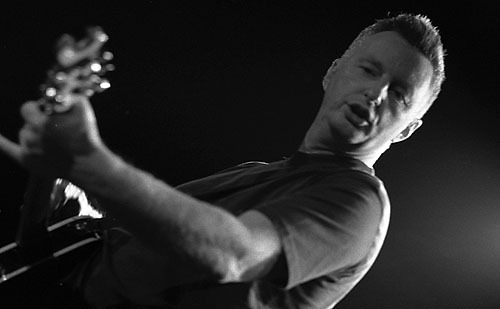 I’ve seen Billy Bragg many times over the years having first been alerted to his fabulous songwriting with 1985’s magnificent Between The Wars EP. It was a time when I began to get politically aware about the world so me and Uncle Bill go back the best part of a quarter of a century. 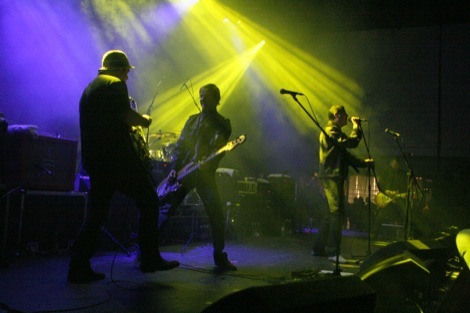 On recent appearances, Bragg, now aged 50, has appeared with a backing band called The Blokes, featuring among others the great Ian McLagan on keyboards. So it was quite a surprise to see him on his own for the concert, stripped down to just himself, his guitars and one or two cuppas during the two-hour gig. Mind you, it was a pleasant surprise, harking back to his earliest appearances on stage back in the day – notably down the road at the Royal Court Theatre where I first saw him with the fine American songstress Michelle Shocked as the warm-up. A number of tracks were plucked from his latest acclaimed long player Mr Love & Justice and were warmly welcomed into his repertoire, as you would expect – especially the very timely I Keep Faith and Farm Boy. However, it was the powerful numbers from his amazing back catalogue that really hit the mark. Indeed, when his guitar ripped into World Turned Upside Down to open the set, you knew right away it was going to be a night to remember. Greetings To The New Brunette (where he name-checked England football manager Fabio Capello), Way Over Yonder In The Minor Key, There Is Power In A Union and Waiting For The Great Leap Forwards were all delivered with Bragg’s unique style while the poignant Tank Park Salute, as usual, brought the tears welling in my eyes. One track no-one had heard before also got an airing. April Fool’s Day was actually composed at HMP Liverpool – Walton Jail as we all know it – by Bragg in a special songwriting workshop held with inmates earlier this year. It concerns the outlawing of homemade CDs for prisoners, and given where it was written, it was particularly well received. With the wonderful A New England closing the deal, Bragg left the stage to a thoroughly-deserved standing ovation. The world might well be falling apart in lots of ways, but with Billy Bragg on your side and on your CD player, things are not so bad. * Photo used courtesy of Valerio Berdini‘s excellent blog.